In recent years, a wave of organised crime has swept across London and the surrounding area. 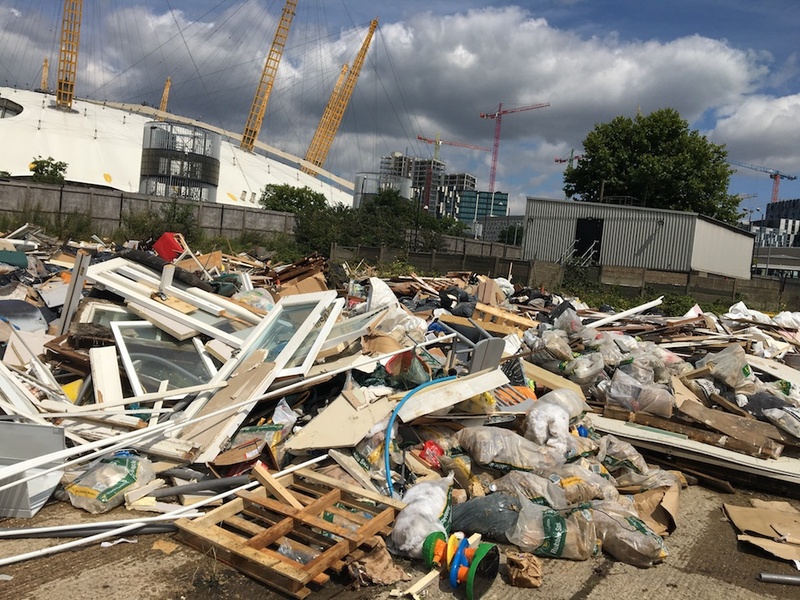 A group of criminals armed with tipping lorries and caravans have been dumping waste all over private and council land. Utilise the space to dump tons of rubbish. Commercial & Domestic waste often Hazardous, expensive to dispose of otherwise type of waste. They will only then move on once the site is filled to the brim with wastage. This particular group of mass fly-tippers are calculating in their methods. They are prone to violence when confronted, and whilst they are more willing than other trespassers to remain on site, they move around enough to elude the authorities. If this group end up on your land. You must act quickly. Often by the time proceedings have gone to court much of the damage is done. Common Law can achieve results quickly and effectively without the delay. GRC have the expertise and experience to get these results – every time. How much damage can they really cause? Some clients of GRC have had clear up costs of hundreds of thousands of pounds. The images below should give some idea of the scale of the problem. The impact is not limited to just cost of clear up. The impact can extend to the amount of time spent in trying to resolve the matter, the disruption to the landowners regular business operations and then the additional security required to prevent it from happening again. The environmental factors themselves are yet another issue. Let us know your story. GRC work closely with the relevant authorities to tackle this issue from the ground up.